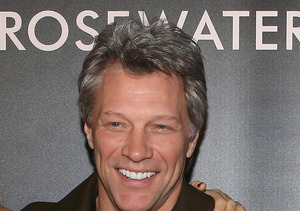 Jon Bon Jovi Opens Second Soul Kitchen in New Jersey! 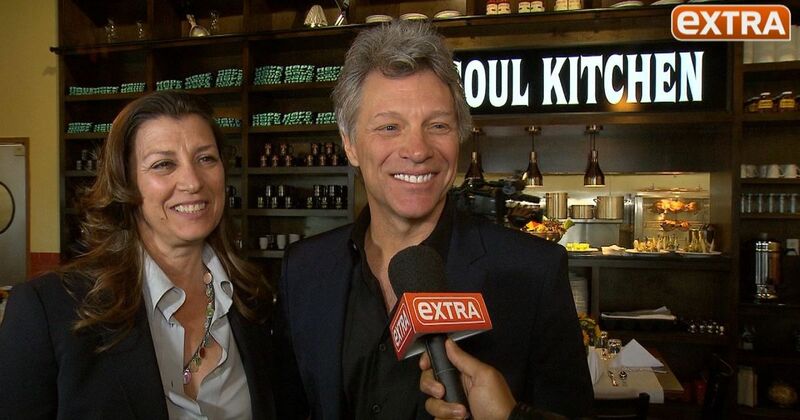 “Extra” was with Jon Bon Jovi and his wife Dorothea as they opened their second Soul Kitchen in New Jersey. Watch! The compelling model of this non-profit community restaurant allows diners to pay for their meal either by making a minimum donation or through volunteer hours. The original Soul Food located at Red Bank is on target to serve its 50,000th meal in May. The second restaurant is located in the new B.E.A.T. Center (Bringing Everyone All Together) in Toms River, New Jersey. The B.E.A.T. Center will also serve as a FoodBank satellite location that includes a food distribution center, production kitchen for at-risk children in after school programs, culinary skills training program, resources such as SNAP (Supplemental Nutritional Assistance Program, aka food stamps), healthcare, and free tax preparation, as well as the permanent home of People’s Pantry, a client-choice model food pantry. For more information, visit JonBonJoviSoulFoundation.org. Video! 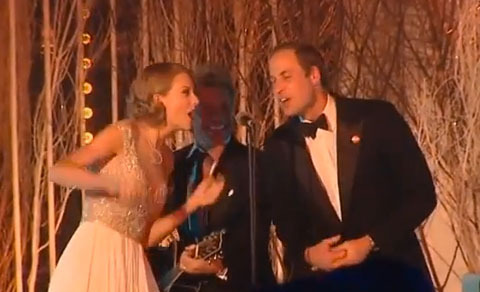 Taylor Swift Sings Karaoke with Prince William and Jon Bon Jovi? Here Comes the Bride… and Bon Jovi?